When you first go vegan it can be a bit overwhelming because you feel like you need to become a nutritionist to be able to get all the important vitamins. But it‘s actually not that hard. There are only 2 vitamins I recommend everyone should take (which are actually vitamins everyone should have a good eye on, vegan or not). Other then that, you can easily get everything from plants. 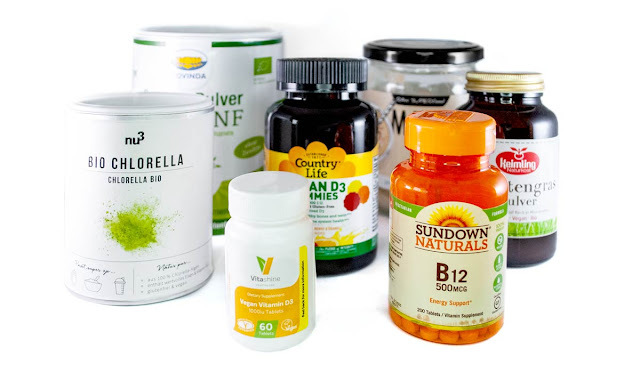 In this post I want to give you an overview of the vitamins and superfood powders I take on a regular basis. I‘ll explain why and how often I take them, why they are important, what they do in our body and what exact products I buy. Disclaimer: I myself am not a nutritionist. For further information see below this blog post, I‘ll link all the sources I used so you can do your own research as well. If you have any severe health issues, please talk to your doctor. If you‘re only looking for the exact vitamin I take, please scroll down to the second part. The «sun vitamin» and one of the most important vitamins we need. Vitamin D is also a vitamin that we mostly don‘t get from food, we produce it with sunlight in our skin. There are a few foods (dairy, fish or mushrooms) that contain vitamin D. BUT you would have to eat oodles and oodles of it. So everyone, vegan or not, should get a blood test done and if needed, take a supplement. Vitamin D isn‘t a problem in summer or in places with a lot of sunshine all year around. 15-30 minutes of sun exposure everyday is enough. But this can be a big problem in winter or if you have an office job. Vitamin D helps to take up calcium and phosphate, strengthens your immune system and helps to balance your hormone system. A deficiency in vitamin D can lead to calcium deficiency (which can lead to osteoporosis), depression, muscle weakness and fatigue. 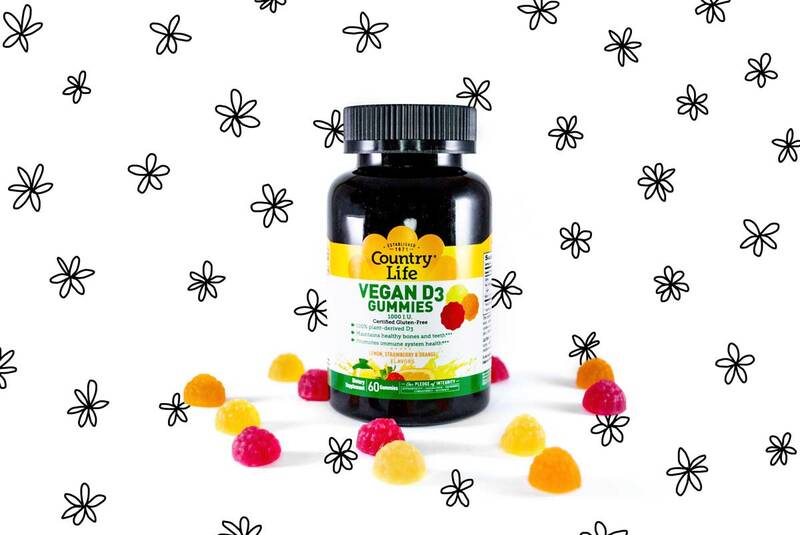 If you shop for a supplement, make sure it‘s labelled as vegan. Some of them are made from sheep wool! This is the other extremely important vitamin everyone should make sure to get enough from. B12 is produced by microbes in dirt, bugs or spring water. Animals like cows or pigs get their B12 either from the soil, some get it from bacteria in their digestive system or they get supplemented as well. There are of course foods that contain B12, e.g. 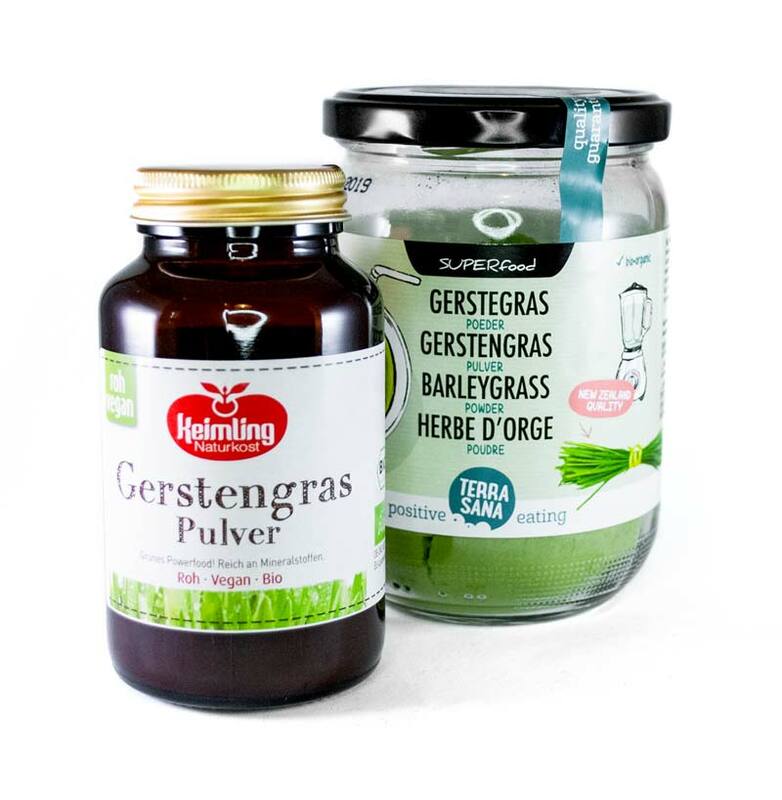 certain mushrooms, algae, grasses, sauerkraut or black tea. But again, it‘s just not possible to eat enough of those foods to get the required amount of B12. 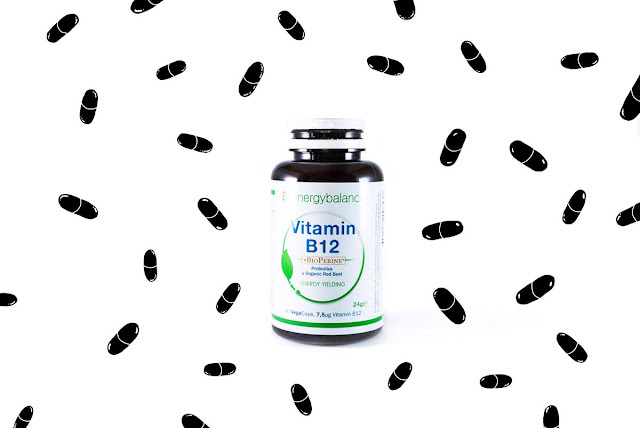 B12 helps our body to produce red blood cells, helps cell division and it keeps the nervous system healthy. 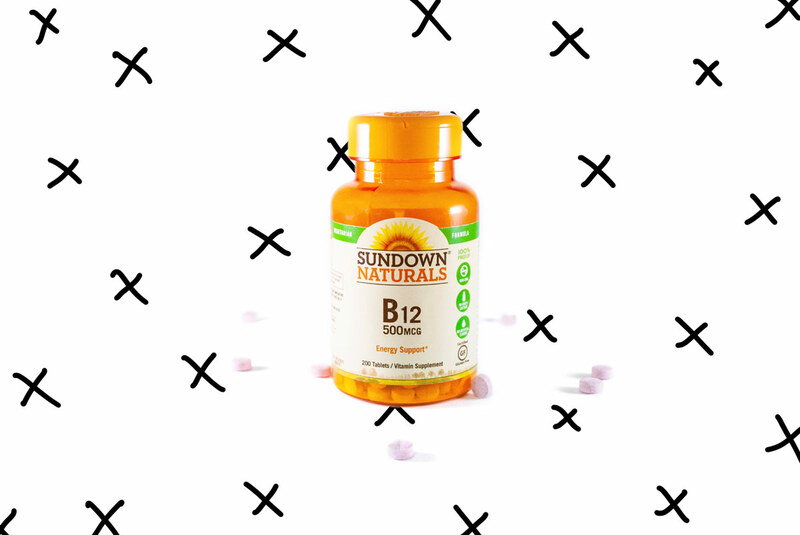 The problem with B12 is, that you might not recognize a deficiency for years, as our bodies don‘t need a lot of it and can store it actually very well. A deficiency can cause anemia or nervous system damage. Signs of a deficiency can be fatigue, low in energy, depression, numb skin, concentration problems and more. A long term deficiency can lead to severe developmental disorders, depression, dementia or anaemia. Spirulina is an algae and is rich in beta carotene, vitamin A, B, C, E and K as well as potassium, calcium, chromium, copper, iron, selenium, antioxidants and magnesium. 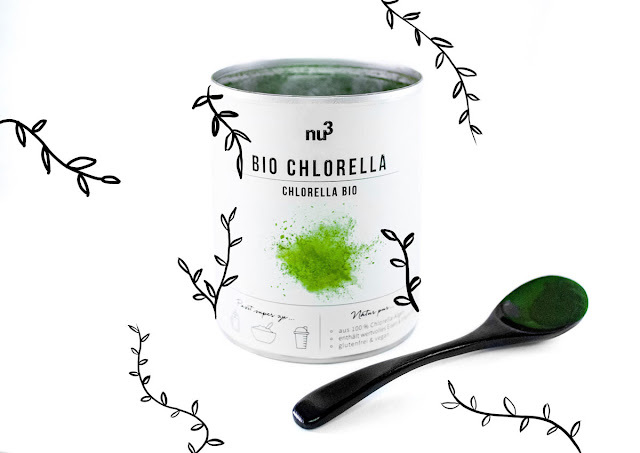 Chlorella is another algae and is rich in beta carotene, alpha carotene, lutein, vitamin B, C, D, E and K as well as phosphorus, calcium, zinc, magnesium and chlorophyll. 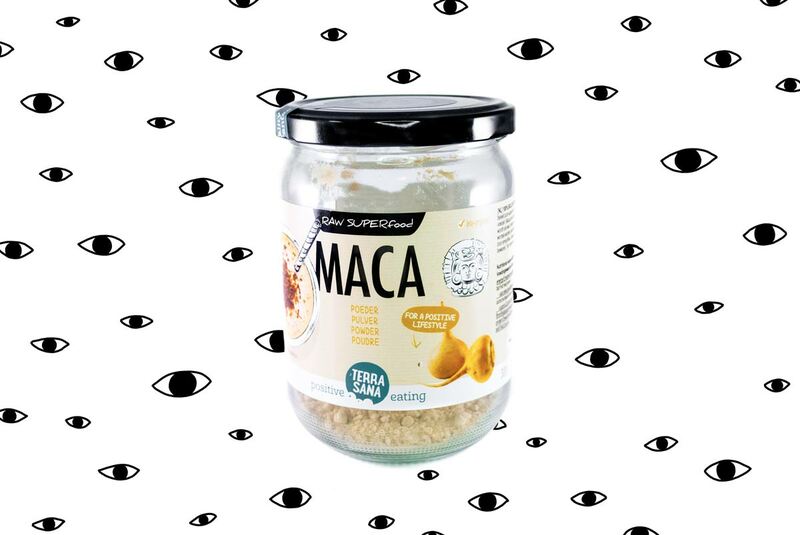 Maca is a root from the Andes. It‘s known to help balance your hormones and contains a big variety of trace elements and minerals. 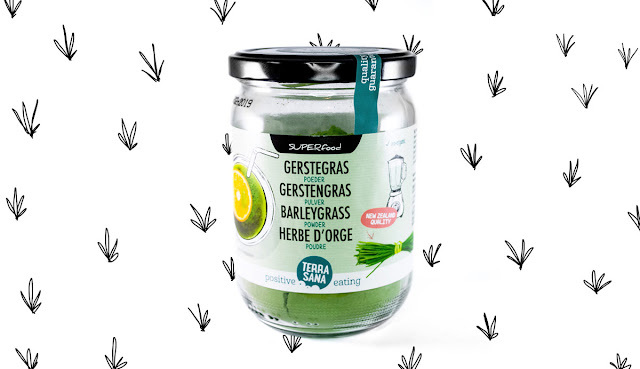 Barley grass powder is rich in calcium, iron, vitamin B+C, zinc, antioxidants and chlorophyll. 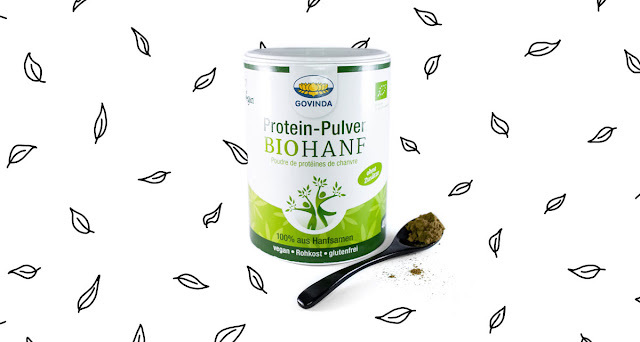 Hemp Protein is of course rich in protein and so in amino acids, antioxidants and globulin. 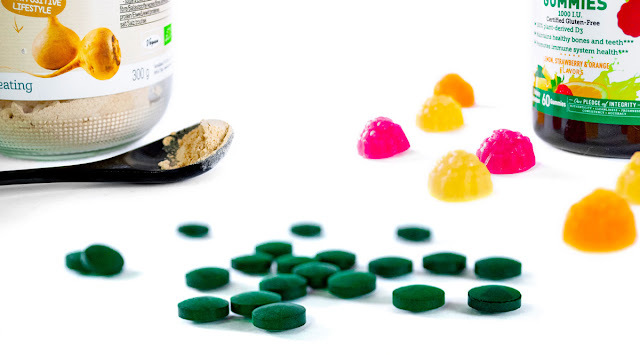 I like to get my vitamins either as a tablet, powder or from food. I‘ve tried to take some of them as drops or sprays but I felt like they get bad too fast or they tasted bad. And I also find it more convenient to just swallow a few pills. All the vitamins I take are vegan, glutenfree, non-gmo and mostly organic. I try to always find the most natural ones. I love to take this: Vitashine from VEGETOLOGY and I get it from Eva's Apples or you can get them directly HERE. It‘s a vitamin D3. See in this video the difference between D3 and D2: VIDEO. I take it almost daily during winter time or when I feel like I haven‘t been exposed to sunlight often enough. This supplement is easy to take and tastes like a lemony drop. So sometimes I switch it up and eat a gummy but I never take both of them on the same day. I don‘t have a certain brand I stick to, but here are two ones I really like and would buy again. The first one is a B12 and probiotic vitamin from Energybalance. It‘s small and easy to take and very natural. You can also get B12 from fortified food or tooth paste. Often B12 is added to nut milks or fake meats. But I make my own nut milk and rarely eat fake meats, so I stick to my lil‘ tablets. I usually get my spirulina from Nu3. Recently I've ordered another one from iHerb, I'll write an update you as soon as I tested it! 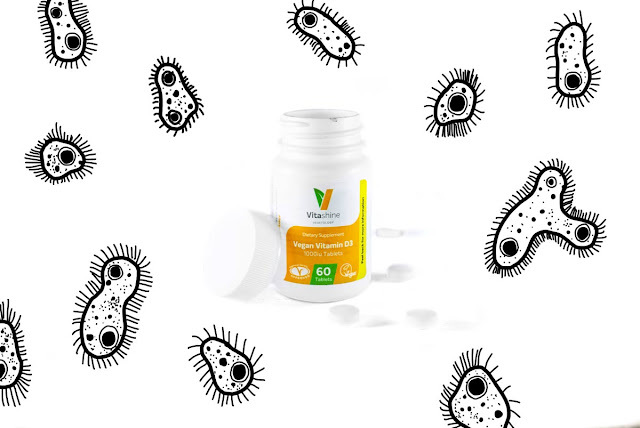 30.11.18 Update: The spirulina from iHerb is perfectly fine, I would buy it again. Can recommend! I don‘t take the recommended serving daily, I take 1/3 of the serving almost every morning. Only when I have my period I take the full serving. Because otherwise, the iron in the food is enough for me. Spirulina is 100% natural, as it‘s only pure algae. And it also tastes a little bit like it. But if you quickly swallow it, you won‘t really notice. You can also get spirulina as a powder, but as I want to take it almost daily, I can‘t add it to a smoothie. For chlorella I always get a powder. I‘m not very consistent with this one. I just put t in my smoothies from time to time. But there are also pills you can take. I mostly take it when I feel like I didn‘t eat healthy enough. Here‘s the powder I get: Nu3 Chlorella but you can actually buy it at all big Coop supermarkets or HERE. I try to incorporate it especially in winter because I tend to eat less raw food. In summer I eat a lot more salads and green vegetables. This powder is one of my favorites. I love mixing it into my granola, cakes or smoothies. 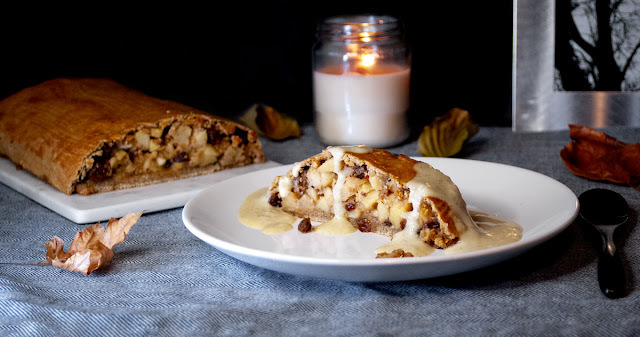 You can pretty much put it into every sweet dish. I try to get some every other day or at least on the weekend. 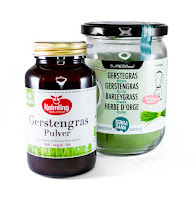 My favorite brand for Maca powder is Terrasana, you can find it HERE. 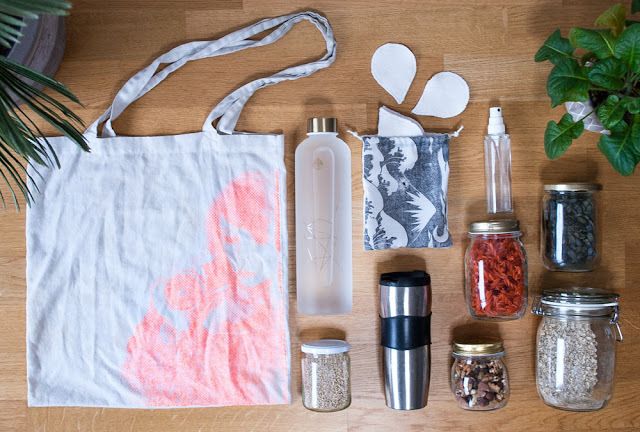 It has a malty taste and you can actually make a delicious Maca almond latte with it. You can find the recipe on my instagram. They are both high quality powders. Like the Chlorella, I mainly add it to my smoothies when I feel like I haven‘t been eating as healthy as I usually do. It hasn‘t a strong taste and so you can pretty much add it to any smoothie. This is another powder I don‘t take often. I don‘t have big muscles and so I don‘t need that much protein. I can easily get everything I need from food. I actually got this gifted but I kind of like using it from time to time. It‘s great if you make a smoothie and want to be full for some time. Smoothies digest very fast and usually I get hungry pretty quickly again. With the hemp protein you simply feel full for a longer time. It‘s actually raw vegan, which I especially love about it. Side note: I'm not paid by any of the brands or shops. I bought all of the products by myself and have personally tried ALL of them. I only use affiliate links for the products, which means, if you buy something through my blog, you support my life as a blogger and free spirit :) Thank you!